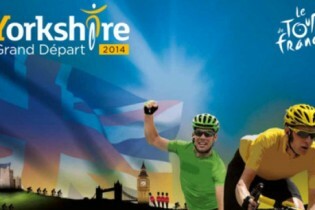 It is very exciting news that Yorkshire will be hosting ‘Le Grand Depart’ for 2014’s Tour de France. The announcement, complete with fireworks took place last week at Leeds City Hall and we were very proud to have played a part – albeit, a very small one – in providing a kabuki drop effect and using our knowledge and experience in giving advice to the event organisers. With the Commonwealth games in Glasgow, 2014 looks like being another golden year for sport in the UK.